The warmth of a sunrise. 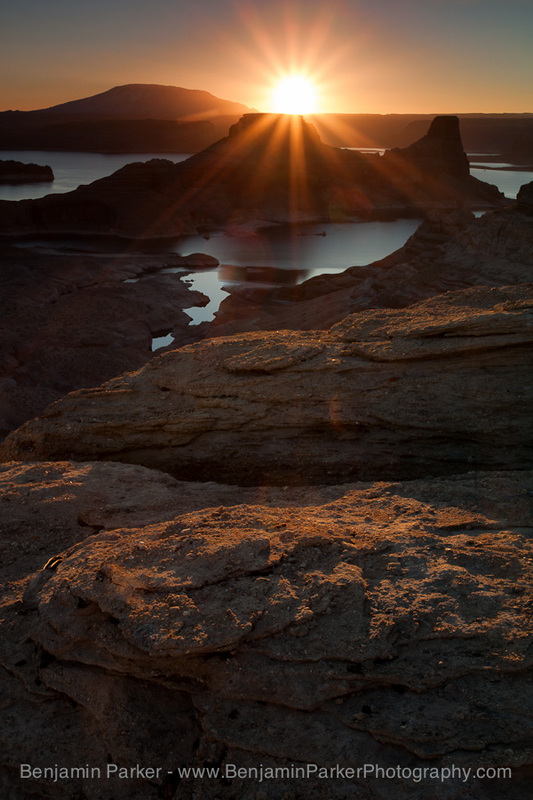 The posted images are from Alstrom Point, Utah at sunrise. 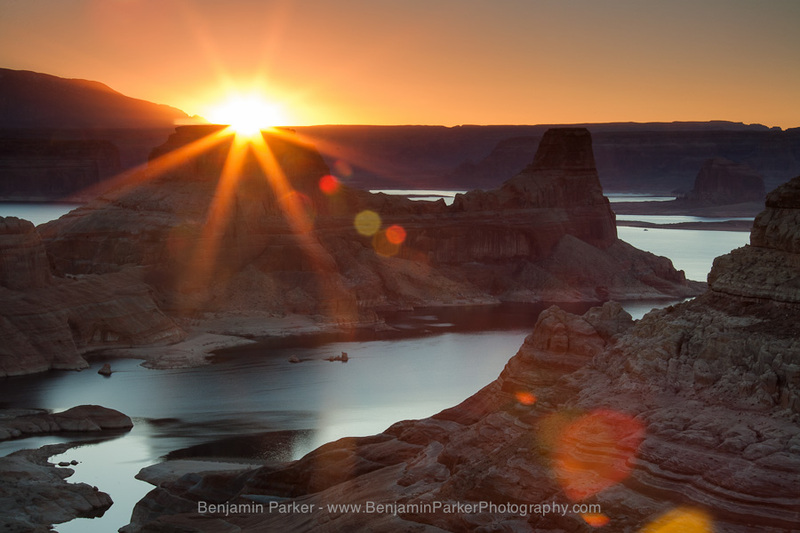 This is perhaps the best camping location near Lake Powell and Page, Arizona. Getting there requires a time commitment of at least 1.5 hours and a high clearance passenger car, but the pay-off is an extremely beautiful overlook of the Lake, mere feet from your tent. Odds are that you'll be alone as well, as almost everyone shooting Alstrom Point departs after sunset. And as an added bonus the drive to and from this location crosses some of the most scenic desert in southern Utah. While photographing sunset there, I ran into Ken Sklute, a Canon Explorer of Light. Ken was an extremely nice guy and he instantly recognized my most prized lens (unbeknownst to me at the time), the Canon 28-300mm f/3.5-5.6L IS USM. On the older Canon 5D, this lens focused slowly, causing me to miss more shots than was acceptable. But, when paired with the 5D Mark III, this lens is a screamer. During my travels this summer, this was my goto lens for street photography. The zoom range is incredible and when coupled with the IS and low-light capabilities of the Mark III, the number of my handheld "keepers" drastically increased. No kidding, this lens and the Mark III has significantly reduced the amount of time my camera spent on a tripod - and that alone is worth the cost of admission! I highly recommend the lens to Canon shooters, you will not be disappointed.